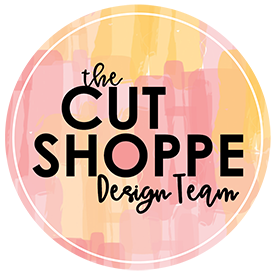 Today I have another layout for The Cut Shoppe and it’s another stash buster! HA! 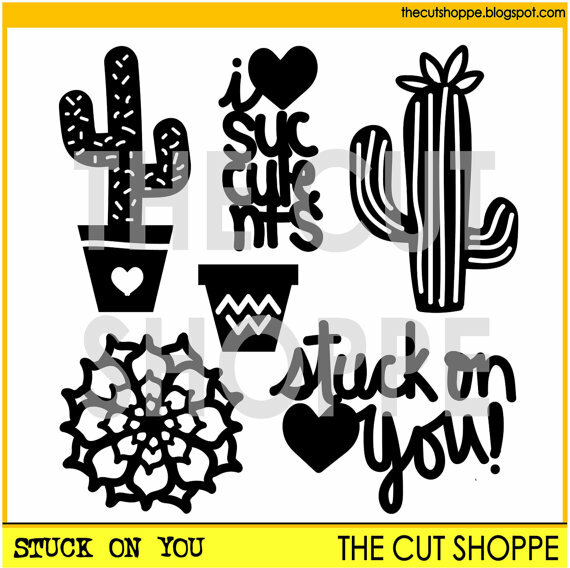 I started by using the Stuck On You Cut File in Cricut Design Space, but instead of cutting the file I used a Cricut Calligraphy Pen to draw the cacti onto white cardstock. After that was complete, I then used multiple colors of cheap acrylic paint and a foam square to put color onto the white carstock. Once they were dry I fussy cut a few of them to use as embellishments on my layout. 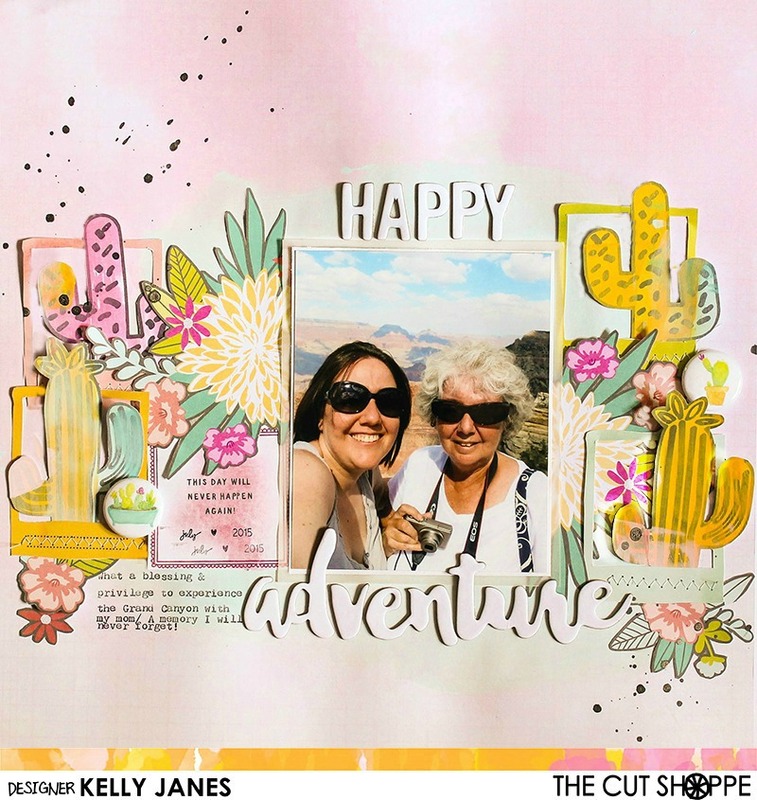 My background paper is a beautiful pink color and it comes from the Crate Paper-Maggie Holmes-Bloom Collection. I did add a wash of light blue acrylic paint where I would be adding my layers. I cut multiple flowers and frames from the American Crafts-Dear Lizzy-5th and Frolic Collection. I positioned the cacti inside the frames and arranged a grouping of flowers around my photo. I matted my photo using white cardstock and a layer of vellum. 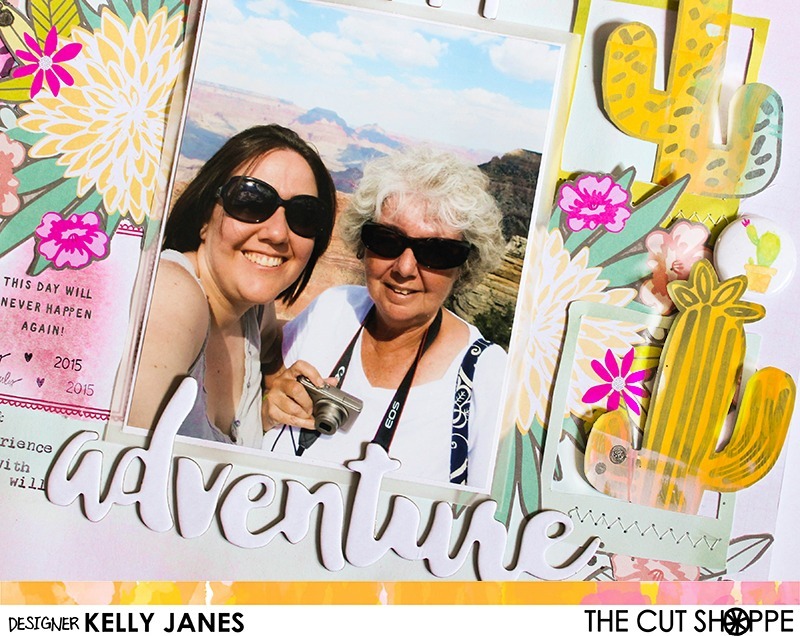 I debated on whether to create a lot of layers behind the photo, but I felt there was so much busyness already on the layout that it would be fine to stick with a simple mat. 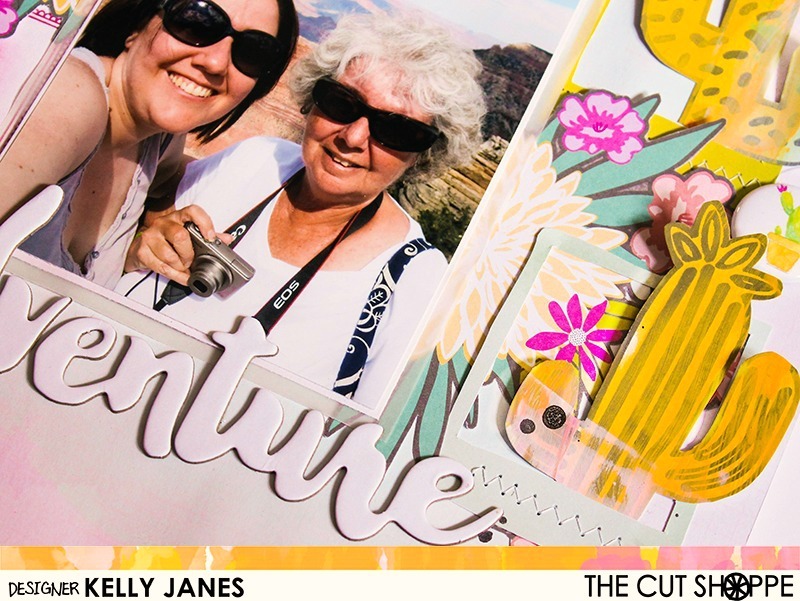 This photo was a selfie (or I guess it is technically and “usie”) that I snapped of my mom and myself during our trip to the Grand Canyon. I love this photo!! I feel privileged and blessed that my mom and I were able to experience this together. I also debated on whether to print it in B&W but I thought it would lose some of its appeal! That sky and the background! JUST GORGEOUS! I added typed journaling directly onto the layout using my We R Memory Keepers Typecast Typewriter. This typewriter will become an addiction…I can feel it! I also added a couple flair buttons from the Here Comes The Sun Collection from Pretty Little Studio. My title comes from a couple different Bella Blvd chipboard sheets. They are intended to be colored with inks, sprays, etc but I had so much color going on in this layout I felt they stood out more remaining white. I also added pop dots behind the top portion of the cacti to give them a little dimension and to elevate them from the background. You can see all of the dimension by the slight shadow they cast in the photo. 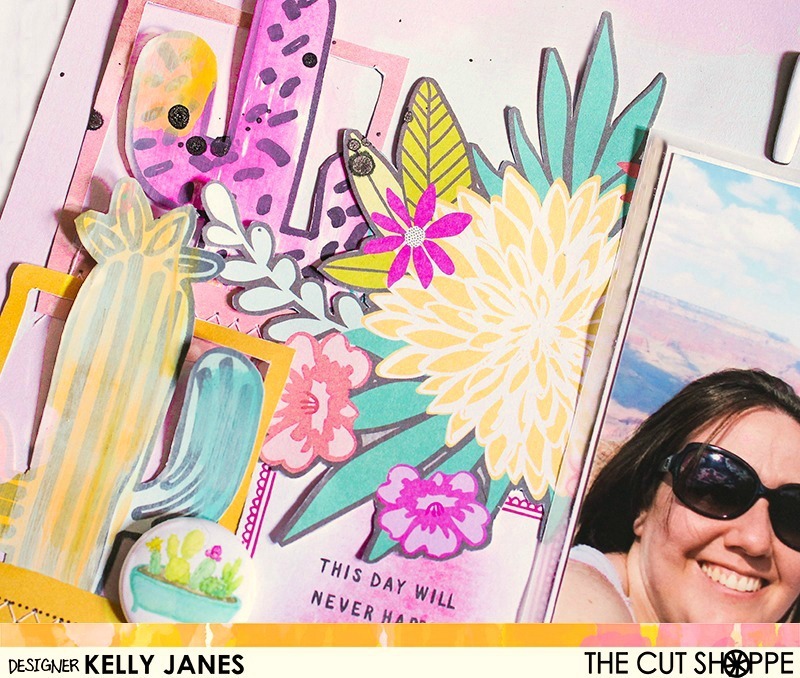 I’ve put together a video showing the process of how this layout came together and it also includes a Cricut Design Space tutorial on how to use the Cricut Pens. 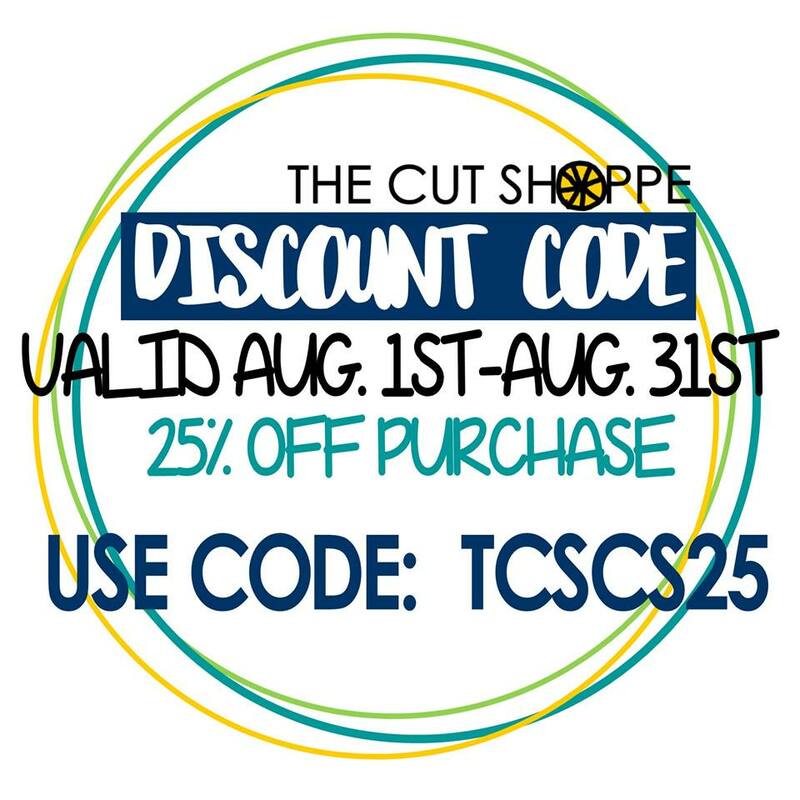 Remember to check out The Cut Shoppe! 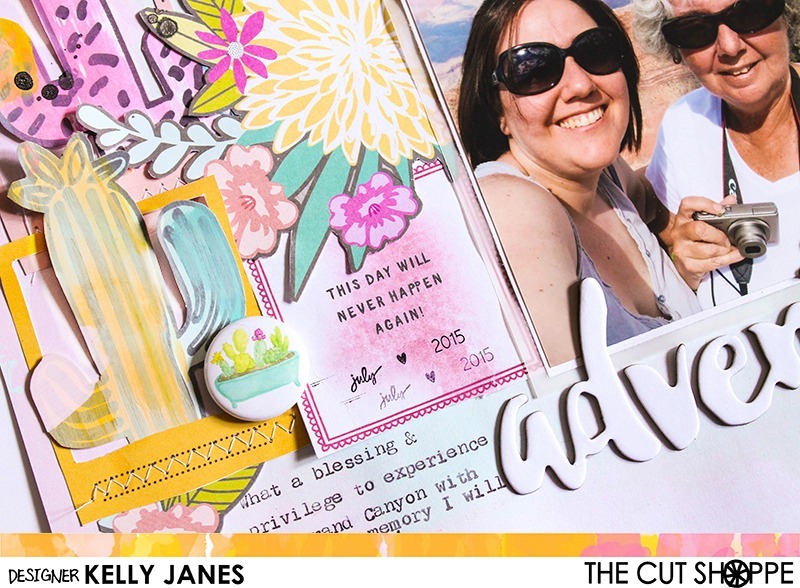 There are cut files for all of your papercrafting needs and more are added every other week!! ALSO..don’t forget about the discount that is available the month of August! There’s still a couple days left to take advantage of this great offer! !